1974 saw the incorporation of Accurate Chemical & Scientific Corporation. Accurate pioneered and introduced standardized, highly characterized polyclonal and monoclonal antibodies. Since 1975, Accurate has specialized in products for basic and R&D research as well as routine laboratory work. Accurate's market covers a broad range of customers and applications, serving government labs, university research centers, pharmaceutical laboratories, as well as hospitals, clinical and industrial centers. In addition to its own fine product lines, Accurate proudly represents many international companies, including AXIS-SHIELD and SERO, Norway; SERA LABORATORIES INTL, ANTIBODY PRODUCTION SERVICES, and BIOCOLOR, UK; CEDARLANE, Canada; DENKA SEIKEN, Japan; UNIVERSITY OF LOUVAIN and CIL BIOTECH, Belgium; SANQUIN, Holland; LATOXAN and ADEMTECH, France; NOVAMED, Israel; LARODAN and MEDICAGO, Sweden; WAK CHEMIE, Germany; NORDIC/MuBIO, Netherlands; and many others. 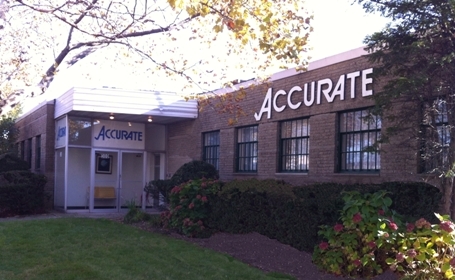 Accurate's market is worldwide, with 20% of its sales going overseas.